This post represents the latest link in a chain of over six years of the weekly summaries of the best of the pro-nuclear blogs. 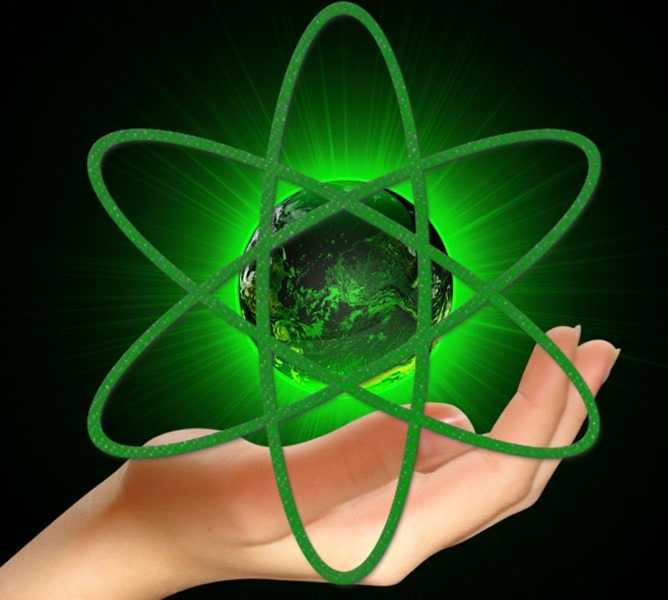 The bloggers who write the posts cited here do so because they have come to see, based on experience, that nuclear energy is green. It is a cost-effective, carbon emission free, source of electrical power which can raise the standard of living for any population which benefits from access to it. In a nail-biter more reminiscent of overtime at the Superbowl, the Illinois State legislature passed The Future Energy Jobs Bill (SB 2814) with less than an hour remaining in the legislative session, allowing Exelon’s Clinton and Quad Cities nuclear power plants to remain open. This will save 4,200 jobs and over 22 billion kWhs of carbon-free power each year, more than all of the state’s renewables combined. The biggest issue many people have with nuclear power is fear of radiation. For decades, this has manifested in concerns about living near plants even though studies have shown that the public and nuclear workers do not suffer any harm. The reality is that radiation is all around us and comes from a variety of sources. A new study by UNSCEAR shows that there is more radiation coming from coal plants than nuclear plants – and that workers mining the rare earths required for solar and wind are subject to higher doses than nuclear workers. High temperature nuclear reactors can replace the coal burners at several hundred supercritical coal plants in China. The lead of the pebble bed project indicates that China plans to replace coal burners with high temperature nuclear pebble bed reactors. HTR-PM are modular reactors that will be mainly factory mass produced. The first one is taking 6 years to make. The reactor module will head towards about two years to build when they are making them by the dozen. China’s HTR-PM (high temperature pebble bed nuclear reactor) project is squarely aimed at being a cost-effective solution that will virtually eliminate air pollution and CO2 production from selected units of China’s large installed base of modern 600 MWe supercritical coal plants. It is a deployment program with the first of a kind commercial demonstration approaching construction completion and commercial operation by mid to late 2018. Major parts of the machinery will be able to be merged into the existing infrastructure. Working with the equation can be challenging, so Slaybaugh developed expertise in creating algorithms and software to solve the equation faster and more efficiently, which ultimately can be applied to designing and modeling new nuclear technologies. Gail Marcus, a past president of ANS, recently helped assemble bios of all the ANS past presidents for the ANS website. She reports on the effort, and summarizes some of the activities and achievements of the past presidents, in her blog, NukePowerTalk. In particular, the notes that many of the early past presidents were involved in the earliest development of nuclear power, and over time, a number have held high level positions in all segments of the nuclear industry, and many have been recognized for their work with numerous awards. Entergy plans to sell Vermont Yankee to a decommissioning company, actually, a consortium of several specialized companies, headed by NorthStar. Meanwhile, EnergySolutions wants to buy Waste Control Specialists (one of the companies) and the Department of Justice has sued block that merger because it would decrease competition in the decomm field. Nothing is simple, is it? In this second part of a two-part post, Nick Escu (pen name) describes the probable economic effect that natural gas liquifiers will have on gas and grid economics. With U.S. liquifier units (“trains”) coming on-line rapidly to export LNG, the price of natural gas within the U.S. will probably rise rapidly, and grid prices will rise with it. France moved to shore up its nuclear industry with utility Electricite de France SA (EDF) agreeing to buy the reactor construction business of state-run peer Areva for 2.5 billion euros ($2.7 billion). The contract signed with EDF clears the way for Areva to raise five billion euros in new capital, largely from the French government.